Glad you decided to take the time to checkout this latest update! We’ll talk more about the new update further down the page, first we’ve a few important announcements. Announcing the NEW Add Ons! Included in this update is support for a range of ‘Add On’ plugins. For the past year we have quietly been working on a way to extend the capability of your FastMember sites, adding in the extra features you need without making the software bloated with other features you may or may not even use. The only realistic way to do this is to steer FastMember towards a modular system, one where you pick and choose the modules needed to create the extact type of site you want. As part of this vision, we are now announcing our online store and releasing a set of Add On plugins which you can access immediately. Some are integrated directly with FastMember giving you additional features when installed. Others can be used as standalone plugins regardless of whether you are using FastMember or not. Of course they will also work seamlessly alongside FastMember, often revealing extra features when used with together. The aim is to allow you to build a fully customisable automated marketing and selling platform for WordPress. We’re building a scalable system for WordPress, one which we use ourselves daily. And we’re making the components of this system available to you at a reasonable cost. This way you can create the exact type of site you need for yourself and your clients. While being a modular system was always the original plan, unfortunately in our eagerness to please everyone at the beginning of this journey, too many features were thrown into the core system. Things have changed. Experience has shown us adding extra features just to please a few people slows down important core development tasks. And when it comes to updates, it’s not best practice to force users to update the main plugin to fix issues related to features they may not even be using. We’re breaking FastMember down into a core system with a series of Add On modules. This will allow us to develop individual important features, such as the email and the affiliate system to full capacity, without future updates affecting the core system. And while Fast Member is feature rich, not everyone wants every feature. Having a core system which does what it does VERY well is the ONLY real solution. After all, imagine WordPress didn’t have plugins. Instead the entire repository was included as a system you had to install all at once. It’s vomit inducing just to think about wading through all those settings you wouldn’t even need, let alone the nightmarish task of managing the updates. While its a ridiculous example, this is what could have happened to FastMember if we had kept on this path. Instead for your sanity (and ours) we’re taking the modular route and it’s gonna expand your sites capability beyond anything you can imagine. It means the future is a more streamlined version, with a pick and choose modular approach to the features you want to use. What we’re not planning to do is charge you extra for features you already have. If you are a current FastMember customer, you’ll get the core system and the extra integrated Add Ons with the current functionality for no extra cost. Of course we are still running a business. We will be finding ways to enhance the add ons with premium versions, so we can deliver even more value to those customers who see the benefits of choosing the versions of the new add ons with extra features they will use. As part of our drive to deliver you the best value, while also pushing the boundaries of what is possible both with FastMember and WordPress, we have developed an Add On store with a download credit system based around WooCommerce. We’ve opted to use WooCommerce for the store simply because of the huge amount of support already available in terms of and integrations and themes. Besides which, we don’t wish to reinvent the wheel. For us to branch out development and begin creating an ecommerce shopping cart platform would not be a wise move. Our focus is on making FastMember as customisable and powerful as possible. WordPress is a huge part of this and WooCommerce is a huge part of WordPress. The WooCommerce integration just makes sense as WooCommerce does what it does fantastically well. And of course the system we have developed to sell our Add Ons is the very same system we are making available to you as plugins. We’re happy and proud to announce a number of WooCommerce Add Ons, (with more planned) which can be used to extend your FastMember site into a hybrid Membership / eCommerce platform. 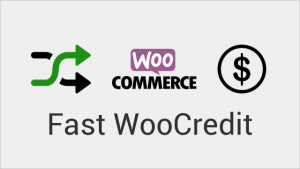 Fast WooCredit – Adds a credit system to your WooCommerce store. You can now assign a credit value to each product in your WC store and allow customers to pre-purchase store credit to pick and choose the products they want. This is a standalone plugin which can be used without even needing to use FastMember. However when you combine it with FastMember this is where the real power lies. 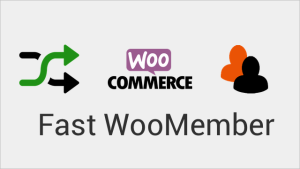 Fast WooMember – directly links FastMember products with WooCommerce products. Now you can use the FAST subscription engine to sell WooCommerce products on a recurring basis. When the product is purchased through Fast Member a new WooCommerce order is created and a WooCommerce invoice can be sent as usual. Fast WooMember also works in reverse, allowing you to list and sell your digital products as usual through your WooCommerce store and then and granting your new customers access to both FastMember protected pages, posts or files and the drip fed content. 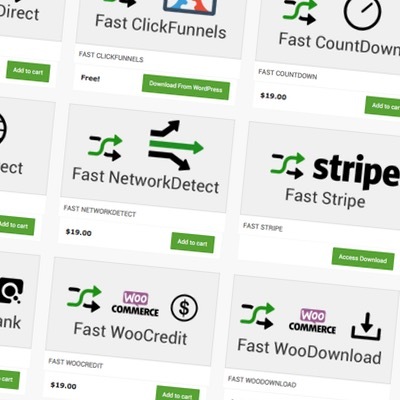 Fast WooDownload – Instantly turns payment buttons into download buttons. When you have added hundreds of digital products to your WooCommerce store, the last thing you want to do is create hundreds more download pages. 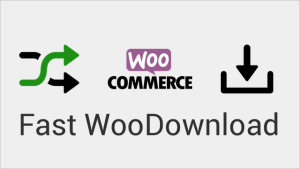 Fast WooDownload instantly turns your buy now buttons into download buttons the moment your customers make a purchase. You can then either link to the WooCommerce my account page, directly link to your FastMember protected files or choose any destination such as a FastMember protected page for your customers to access their new purchase. The download button also has the added advantage of letting customers visually see which products they have already bought and giving them instant access from the sales page or shop grid page. Also using the custom short codes you can choose to display a grid of products your customers have already bought and also ones they have yet to purchase. Fast Sendy – email integration for Sendy self hosted email marketing system lists with FastMember. Fast Stripe – The powerful Add On gives you true one click upsells. For a very short time, we’re classing this as a beta. However it has been extensively tested on live sites so the chances of it breaking anything are next to zero. What we’re looking for are any final glitches before we put it live next week. We’re also changing the numbering from 1.0.9 to 1.1 as we feel it’s time to move FastMember to the next level. We anticipate to be out of beta within the next 7 days, so for this short time we are offering you a chance to get access to any of the new Add Ons for 1 low cost. Right now we are giving existing FastMember customers a discount on 15 and 30 credit Fast Credit bundles for the next 7 days. Choose a credit bundle below and save 33% on the store prices of the FastCredit, and even more on the retail value of the add ons. Hi Ely.. you should see a credit balance available which takes into account the time you’ve been in the FastClub. You can use this to download any of the current addons or use for future ones. Thanks Dave, I did see that (just thought it would be nice to make it perfectly clear for everyone). 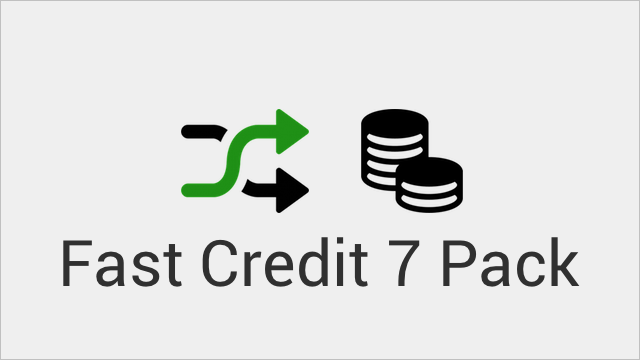 I was wondering about future payments for the club – will we be getting more credits against those payments, monthly? Yeah, you’ll get 3 new credits each month, which is part of the new plans. We’ll be announcing more about new plans shortly, but you’re locked in at your current price. Good to see the product moving forward. What happens to those who purchased the Unlimited and Developer Licences in the very beginning? Any licence you have will keep in effect for core add ons. Hey Dave, great news. You guys rock! Happy to see you keep on exceeding all our expectations. Glad you like the progress Jose. Thanks for the continued support! Looks like you’ve been hard at work, Dave. Love the modular look. And I love the reliability of FM over the years I’ve been using it. I always tell my clients to forget all others, and go straight to FM. I’m not a big tech wizard (not even a little one), so I really love the user friendliness of FM. This looks like we get even more function without having to negotiate all kinds of new learning curves. Cool!